Universities have always been on the cutting edge of new technology, so I wasn’t surprised when my school’s IT department issued me a new 12-inch Samsung Galaxy Book. This innovative laptop/tablet hybrid is lightweight and portable at just 754 grams and offers professors the ability to seamlessly jump from lecture to office and then home. The versatile 2-in-1 device allows academic instructors to easily switch between its tablet and laptop functions to suit both professional and personal needs. With textbooks, lecture notes and even study groups being moved into virtual spaces, professors are looking for one multi-purpose device that will fit all their teaching needs. The 12-inch Samsung Galaxy Book boasts a vivid Super AMOLED display for a more immersive viewing experience. Whether I’m analyzing research stats and graphs for current trends or streaming lectures in my office, the contrast is always sharp. In my downtime, I have been using the Galaxy Book to watch Netflix because it displays such vivid colours with deeper blacks and whiter whites. The Samsung Galaxy Book comes with an improved S Pen with increased pressure responsiveness so I can take notes on the go while I’m travelling across campus. The S Pen also lets me navigate through my documents and files more efficiently when I have the keyboard detached. Every instructor knows that classrooms sometimes lack the tools needed to set up lecture technology but the 12-inch model features two USB Type C ports for additional accessories. 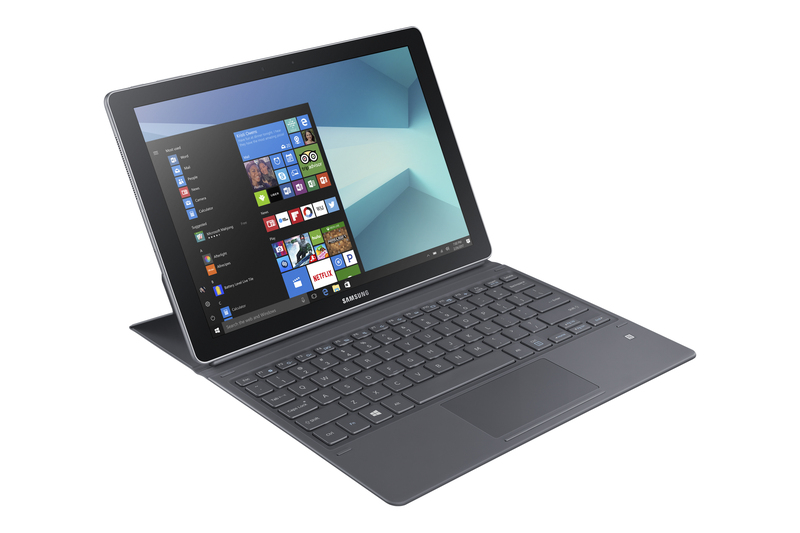 The device is also built with Bluetooth 4.1, which makes it simple and smooth to connect my Galaxy Book to other wireless devices when needed in the classroom. With Samsung Flow, I can also easily pause an activity on my Samsung mobile device and pick it right up from the same point on my Galaxy Book. It allows for a seamless transition when I’m working on my smartphone and then moving back to my tablet device. The Samsung Galaxy Book lasts me an entire day on campus without recharging. In a single charge, the 12-inch model supplies up to 11 hours of battery life*, and the smaller 10.6-inch version up to 9 hours. This feature makes it ideal for me to bring to conferences where there are few opportunities for attendees to charge their devices. 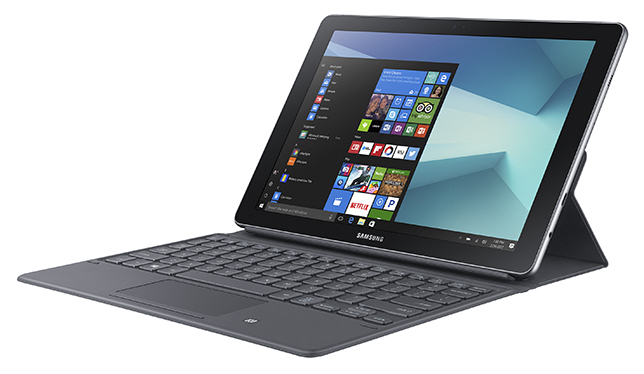 The 10-inch Samsung Galaxy Book. The 12-inch Samsung Galaxy Book also comes with 8GB of RAM and 256 GB of expandable storage. I have opted to add an SSD card to increase my memory so all my current and past textbooks and research can live on my device for quick access. Powered by Windows 10, other academics will find the operating system makes it easy to run multiple programs at a time without any slowdown. The 12-inch model also comes preloaded with Microsoft Windows PRO and offers security functions like encryption to help keep your students information private and safe from potential hacks. As a professor, I am always trying to teach my students to practice efficiency in their studies and the Samsung Galaxy Book has helped me improve my productivity on campus.